I would just like to comend you on developing such a great product! Thank you also for including the brochures. 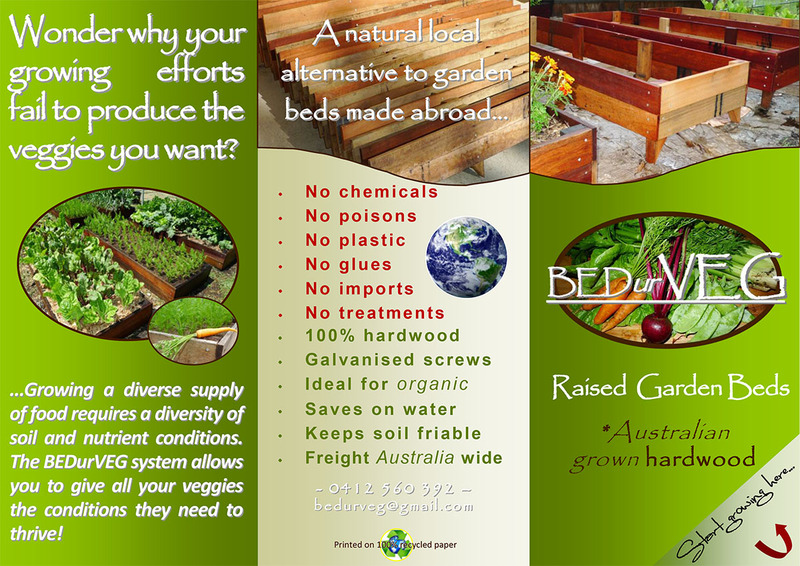 As I sell hardwood garden beds freighted all over Australia, I will be including one of your brochures with every order. I ship out over 200 hardwood garden beds every year and have not been confident enough in previous products to recommend them, as most of my clients grow organic and don’t want synthetic oils on their timber. Time will tell how well it weathers, however I can tell just by the quality of the oil compared to a similar product that it contains far more oils and conditioners than it does thinners. It gives a much deeper harder finish when applied than the other. Thanks again and I look forward to recommending your product to my clients. I’m sure you have plenty of pictures but I thought I would pass on the one we took when we recently oiled our new fence. 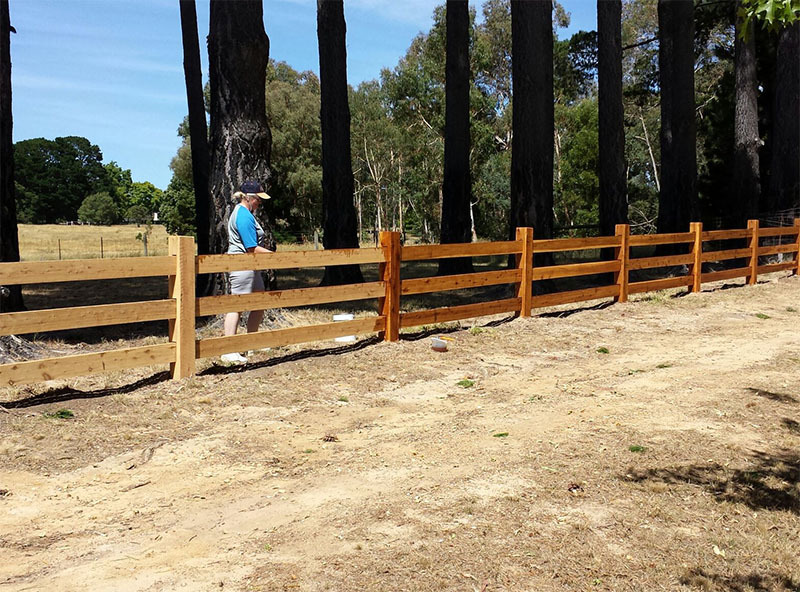 The Fence is out of cypress pine and the picture clearly shows how the oil enhances the colours. The fence is the talking point of Macedon!! At Genjusho Building and Design, we specialise in Architectural and custom built homes and renovations. Our philosophy is about maintaining a minimal footprint. We do this by waste management and product selections. We came across deck doc after having so many issues with other products, both environmentally friendly and not. We find Deck doc to be the most valuable product for decks and other surfaces, maintaining our beliefs of natural products. Its durability allows us to coat the decking and claddings as we install them and come along afterwards with another coat. This protects the timbers during construction from both weather and traffic and all we have to do is apply a coat at completion. This allows us to handover a house that has timbers still rich in colour and feature, the way the products were meant to be. I have just finished my house and we used it on our decks, ling boards and external of our windows. 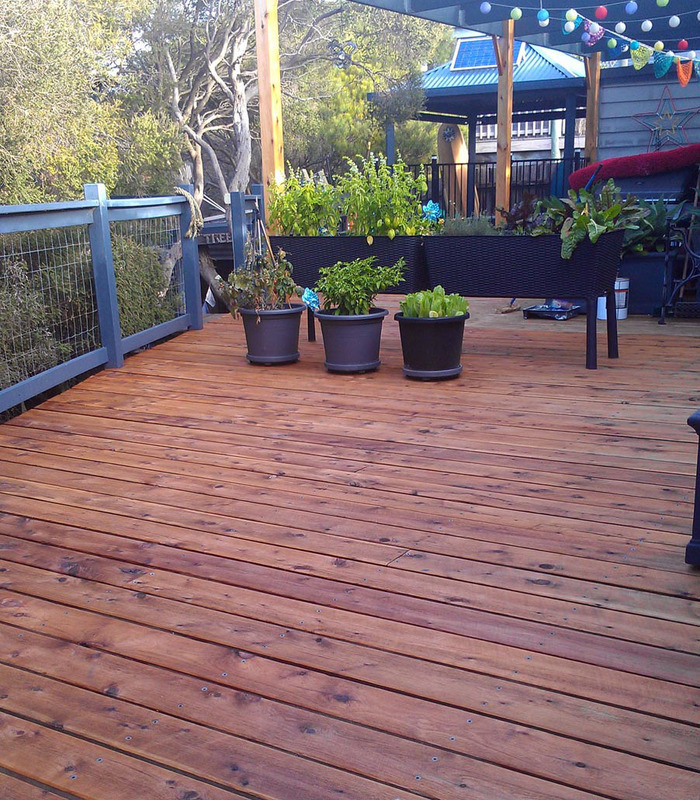 I have just coated my new spotted gum deck with Premium Decking Oil and it looks magnificent. Your product is much nicer to apply, less toxic. Your product seems to allow the deck to turn grey quicker, but does not necessarily seem to allow it to weather more quickly. We have just scrubbed our deck clean and re-applied a couple of new coats with the intention to re-apply every 6 months until the timber does not take it on so quickly. Thanks for a great local product.